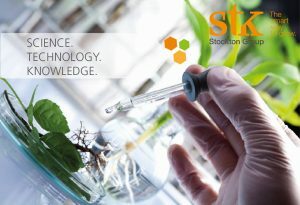 The Stockton Group (STK), a member of the Israel Chamber of Commerce of the Philippines (ICCP), provides high-quality botanical-based biopesticides and develops innovative eco-friendly solutions for sustainable agriculture. Established in 1994, the company’s commitment to enhancing customer satisfaction, environmental safety, product performance and innovation, and technical leadership has helped it achieve excellence in its field. The Stockton Group, headquartered in Israel, maintains a local presence in more than 35 countries worldwide. It works through a unique and highly integrated network of Stockton subsidiaries and representatives dedicated to delivering constant development, product excellence, application expertise, and a continuous, fully reliable customer support. The company’s global team includes synthesis and formulation experts, leading agronomists, chemical engineers, biologists, entomologists, registration experts, and phytopathologists. Timorex Gold®, an award-winning biofungicide based on a plant extract, is the ideal solution for integrated pest management (IPM) programs. Timorex Gold® has been proven effective in preventing a broad spectrum of diseases affecting different crops. Its components provide mechanisms for effective and sustainable management of fungal and bacterial crop diseases. 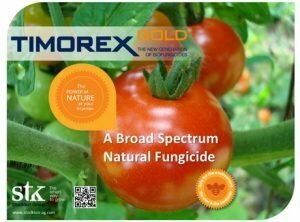 Timorex Gold®’s innovative multiple curative modes of action occurs when the product penetrates the plant tissue, coming in contact with fungi cells. The chemical destroys the cell wall and membrane, causing loss of cytoplasm and subsequently decreasing the mitochondrial respiration and other functions of the fungi cells. Timorex Gold® was awarded in 2013 the AGROW Award for Best New Biopesticide and in 2015, the AGROW Award for Best Marketing Campaign. +632 4031585 or send an email to [email protected]. Alabang, Muntinlupa City 1770, Philippines.